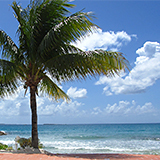 It was another warm, quiet, blue-skied, sunny morning on the best Caribbean island. Roosters crowed, lizards skittered, and a soft tradewind blew. My family and I were biting into our favorite buttery croissants. At the table to our right, there was a face we had seen just yesterday on Shoal Bay Beach. "You look familiar..." my Dad starting the traditional conversation with whoever happens to be nearby. "Oui, oui" the man replied, "I'm Henri. I saw you yesterday on Shoal Bay Beach." Look at Henri's happy, sun-soaked face. There is much to be said about not joining the fast-paced modern world. Henri takes it to the extreme, leading him to this best of all Caribbean islands. 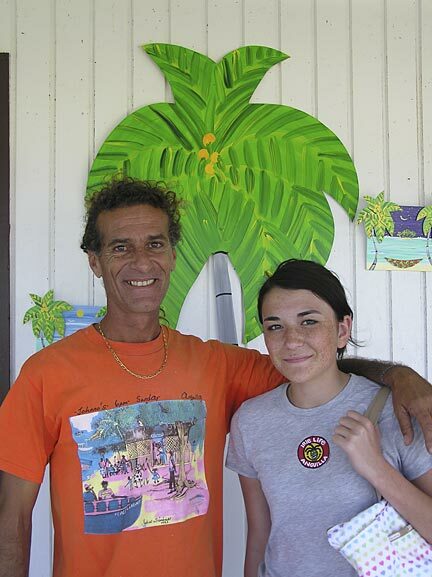 Henri is originally from France, but spent most of his childhood in the french Caribbean island of Guadalupe. He needed to "slow down." 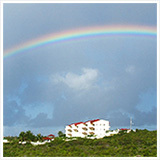 Soon after, he discovered the island that epitomizes the word relaxation, Anguilla. For him, Anguilla was the best Caribbean island! That was 20 years ago! And he still feels the same to this day. The conversation continued. 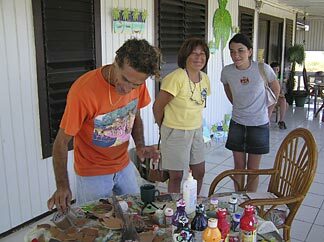 Soon we discovered that we had found the artist who made those oh-so-cute 3-D Caribbean paintings and "coconut fish." that we had seen in shops. His work can be found in Cap Juluca's gift shop, Bartlett's, and others. Henri's work really captures the funky, Caribbean feel. Yuki and I were like 5-year olds again. "I want one." "Me too!" Back home, even during Montreal's coldest, darkest winter months, they continue to bring back warm Caribbean feelings. 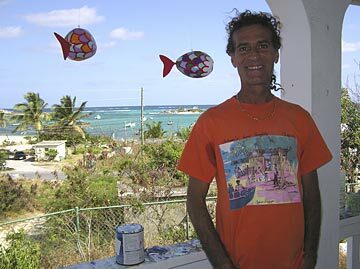 Henri collects coconuts on Anguilla, paints them in vibrant, Caribbean colors, transforming them into fun, flamboyant fish! Mine dangles from a window in my room. 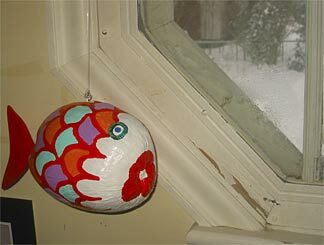 Every day when I wake up to the snow-encased trees that sit outside that very window, Henri's creation reminds me of the warmth of what he calls the "best Caribbean island." Henri doesn't need these creations for himself, of course. He has the real thing to inspire and keep him warm! With an ocean view on the best Caribbean island!